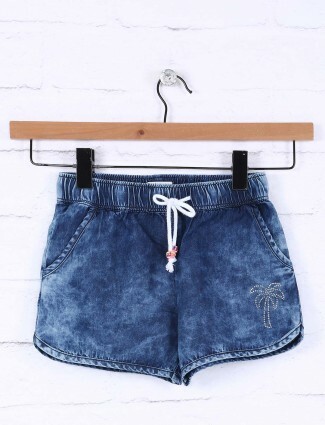 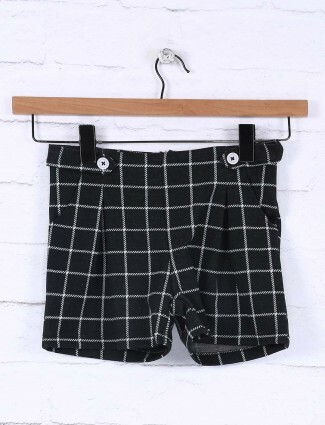 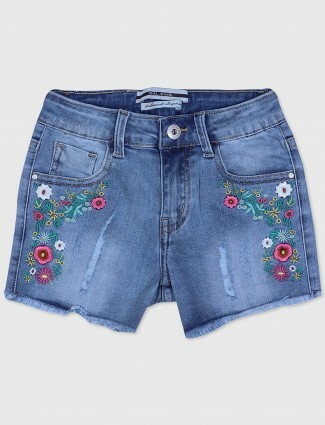 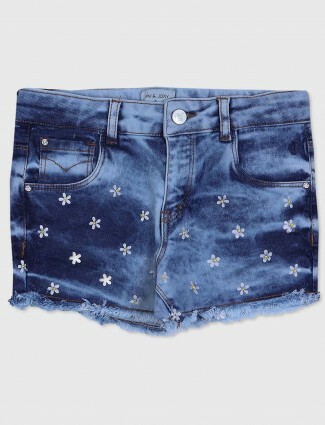 Pick from our collection of shorts in colours, cotton in plain shorts and girls printed shorts, jacquard net or crochet shorts and denim shorts for girls for girls of 1 to 16 years to wear in hot and playful hours with brands for girls fashion at G3+ Fashion. 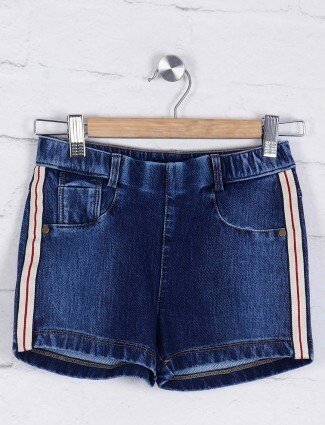 Girls want to look hot and fresh, wearing the half pants which is a good choice in hot seasons, and which will make your little women look sweet and cute. 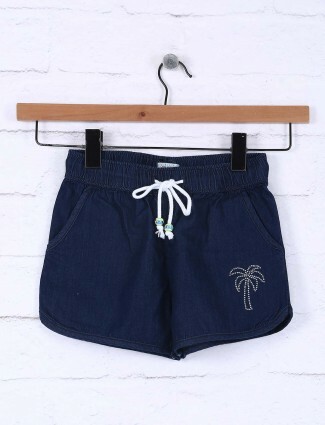 Shorts are widely accepted in clothing for its comfort and easy wear at multiple events like at nights, and outdoor activities. 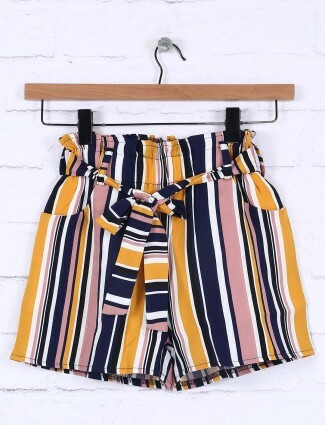 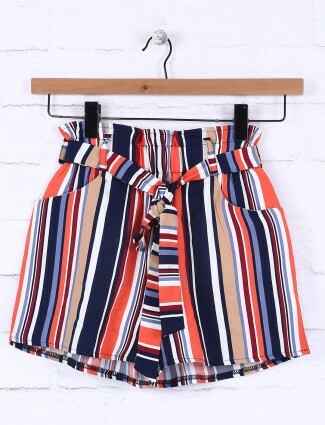 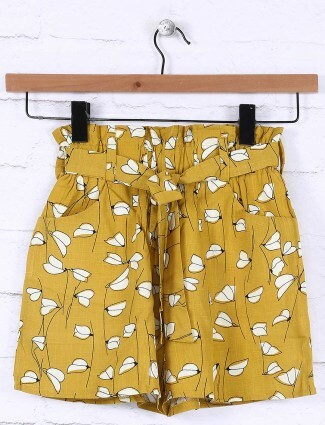 Buy girls half pants for sporty activities and adventurous fun, a birthday party, a comfortable nightwear and also a casual trendy day look for summers. 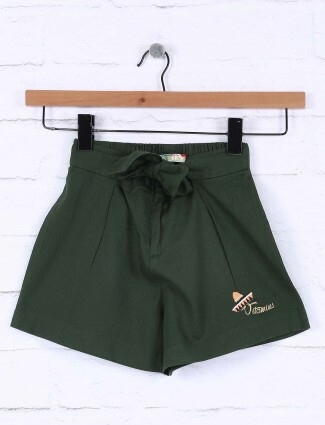 Half pants in red, black, blue, pink, peach, green, yellow, beige, purple, black, white and more may be a good option to look classy and cool summer shorts can be worn with t-shirts or girls tops. 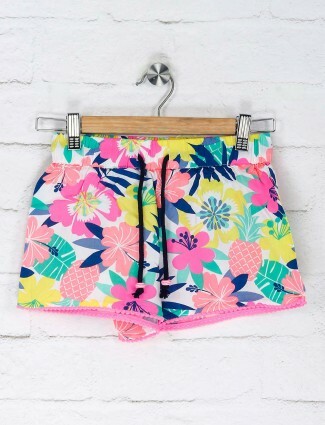 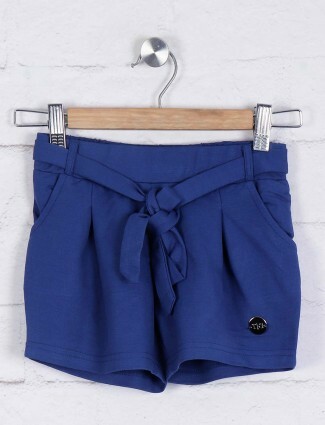 Get the smart and stylish girly look for vacations with the smart cotton shorts, buy them online from G3fashions.in shorts in prints of tropical bloom in flowers and floral designs which bring out the style and add the fashion to girl’s wardrobe for baby girls of 1 year, 2 year, 3-4 years and for older teen kids too. 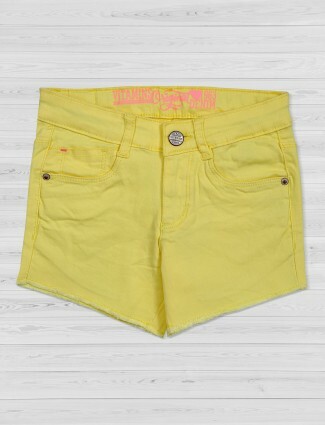 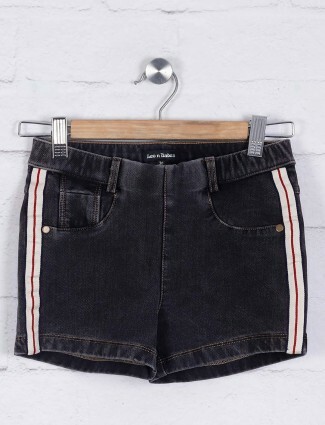 Denim shorts are the best wear to suit casual and durability feature which makes it to be worn for daily outdoor events, are now found in classic styles and coloured denims shorts in the brand Tangerine like corals, pink, blues. 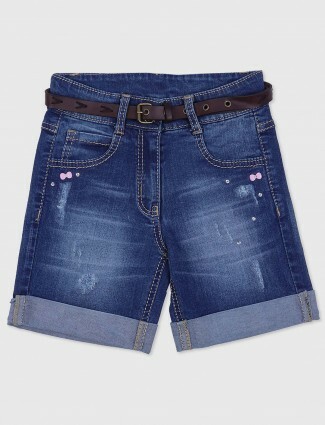 Girls denim half pants are very comfortable and suits girls of age groups 5-6 years, 7-8 years, 9-10 years to bring their cute and sweet girls charm out.